Fat lighter is pine wood saturated in pitch or resin commonly used for fire starting. 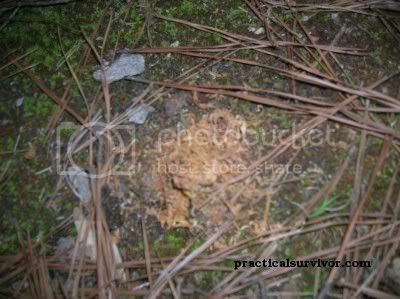 Usually found in the pine tree stumps. 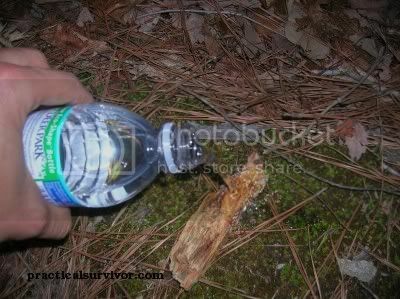 Whether backpacking or in a survival situation fat wood will simplify starting your fire. It can be used both as tinder and kindling. Found within pine tree stumps, fatwood is an excellent fire starter. This pine tree tree stump was on the edge of a lake. It seems a storm snapped the tree right at the base. 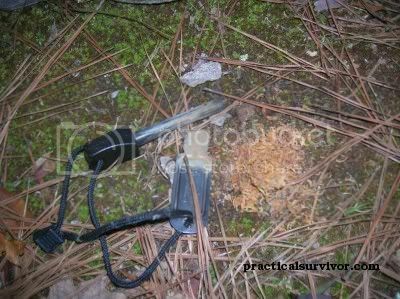 The knife points to the fatwood. 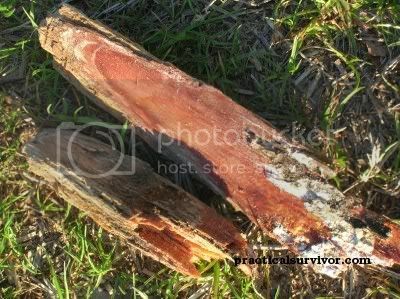 Fat lighter or fatwood is sold in stick form or dust form by different suppliers. 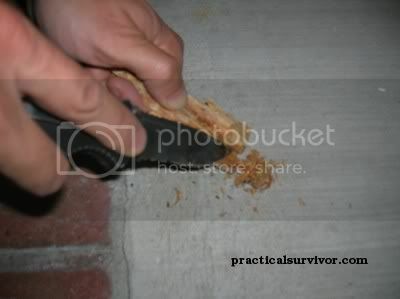 Under damp conditions, fatwood will help you to start a fire and sustain the flame. 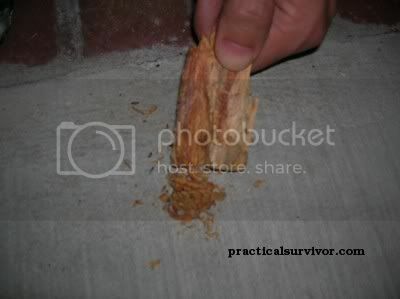 Fatwood shavings can be ignited with the use of a sparker type fire starter. 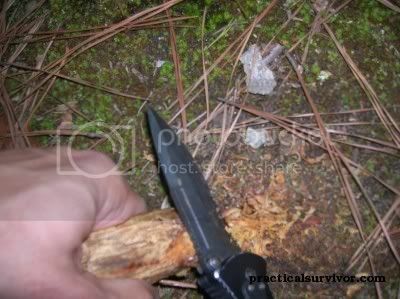 The flint rod from your magnesium block, a regular ferrocerium rod like the ones found in blastmatch, swedish firesteel, or strike force. 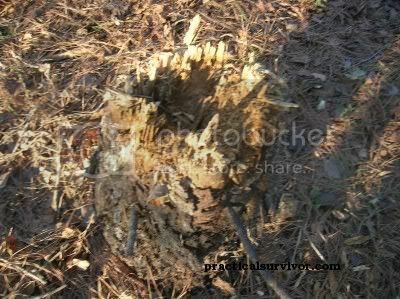 While searching for fatwood, look for pine tree stumps. The smell of resin is very distinct. 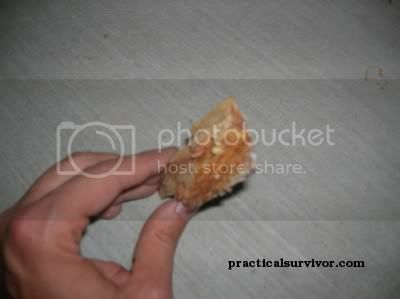 Usually pieces with high resin have a very strong smell. 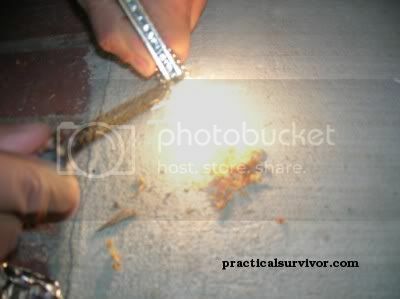 In this sequence we use dry fatwood to start a fire using the flint rod from a magnesium block. 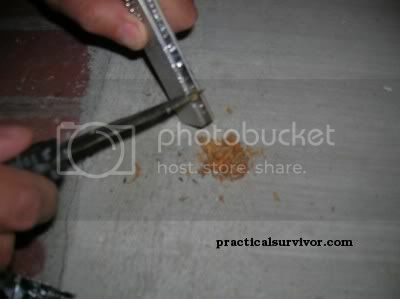 We also tested the fatwood under damp conditions. 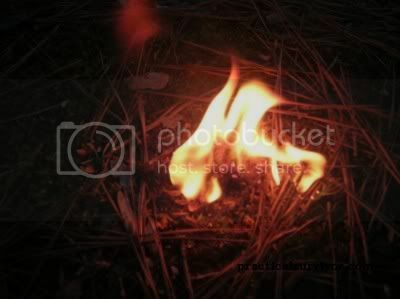 Here we pour water over the wood and ignite the tinder using a ferrocerium rod (swedish firesteel). 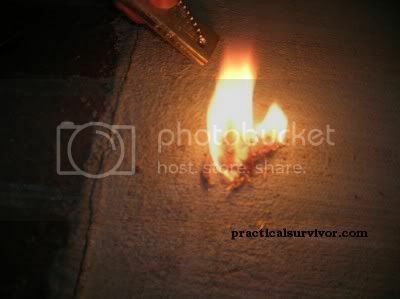 It takes longer to ignite the tinder but the fatwood ignites and the flame is strong. 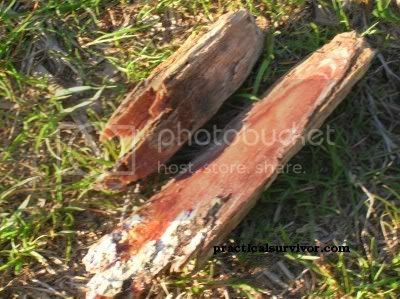 In a survival situation fatwood is an great asset to your fire building tools.